I used a card base from the Simply Spring card set and the rainbow sticker is from the Lots O' Luck collection. 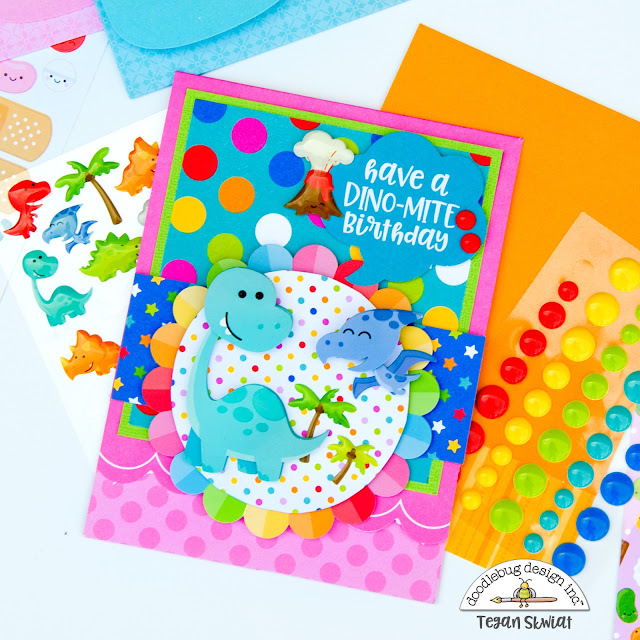 Papers, die cuts, Sprinkles, and the adorable Doodle Pops are from the So Much Pun collection! HOPPY EASTER | Giveaway Winner! GIVEAWAY | Hoppy Easter Cut File Collection!